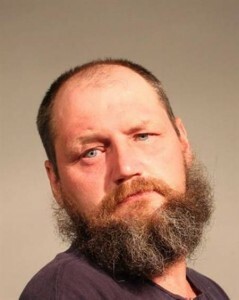 On October 26, 2015, Scotty Ray Whitt, 48, of Hurley, Virginia appeared before the Buchanan County Circuit Court and was sentenced on the following charges: Aggravated Malicious Wounding, Assault and Battery on a Family Member, Use of a Firearm in the Commission of a Felony, and Violent Felon in Possession of a Firearm. Following a sentencing hearing that encompassed most of the Court’s afternoon docket, Whitt was sentenced to 50 years and 12 months in prison with 22 years being an active prison sentence. 28 years of Whitt’s sentence was suspended on the condition that he complete 10 years of active supervised probation. During the hearing, Buchanan County Commonwealth’s Attorney Gerald Arrington introduced evidence of Whitt’s violent past, showing the Court that Whitt lived most of his lifetime as an abusive alcoholic. Arrington also introduced a number of previous DUI and domestic assault convictions, including a prior conviction for Attempted Malicious Wounding which involved Whitt’s abuse of his then wife, and victim’s mother. Joshua, Whitt’s oldest son, testified that on June 2nd, while his father was threatening to kill him, he began retreating with his girlfriend, who was pregnant with their first child, to their car. As they were doing so, Whitt retrieved a 12 gauge shotgun from inside the home and came out into the yard. As his son was stepping into his vehicle, Whitt fired the shotgun at his son, bending in the car door and spraying the young man’s face, arm, chest and knee with shotgun pellets. Fortunately, Joshua and his girlfriend were able to flee from the home before Whitt was able to reload the single-shot shotgun. Joshua was then taken to an area hospital for treatment. Joshua further testified that he still has three pellets in his eye that is causing him to slowly go blind. As a result of doctors’ inability to safely remove these pellets, Joshua will be unable to have MRIs, and the injuries to his knee has made crawling around in the mines, his career of choice, difficult and painful. In a particularly moving moment, the young man told the Court that the physical pain of the injuries could not compare to the emotional pain his dad had inflicted on him. He testified that he still has nightmares of his father shooting him and often wakes up to the sound of the shotgun firing.